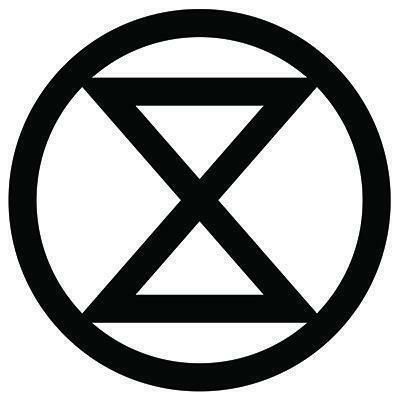 Please note: In response to several companies attempting to use the symbol on their mass-produced clothing/giftware products, the following clarification is now made: The extinction symbol is a not-for-profit participatory project. The creation and free use of the extinction symbol by individuals in their personal artwork or other forms of expression is strongly welcomed and encouraged, but any form of commercial use of the symbol is completely against its ethos and should therefore be refrained from. Thank you.